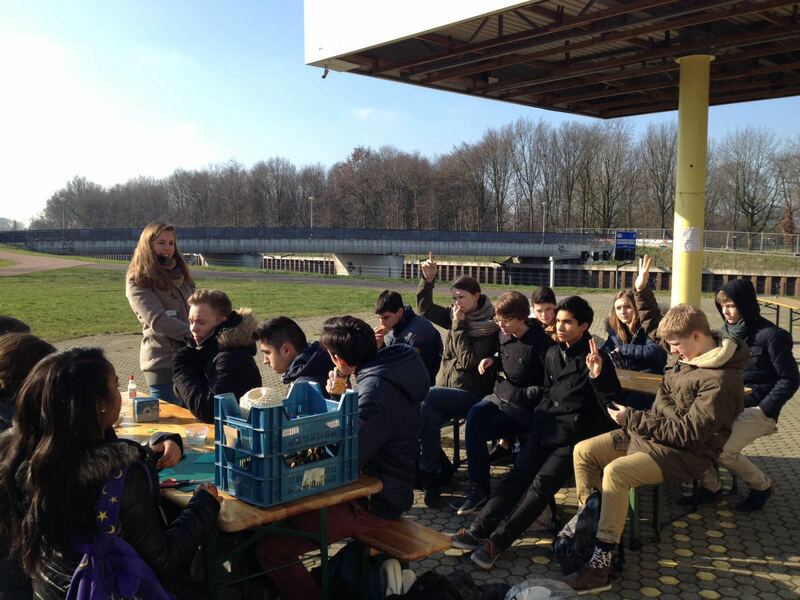 On 17 February 2016, we welcomed the students of the Gymnasium Haganum in The Hague and their French exchange students to have a three-part WASTED workshop at the Gele Pomp, located in Amsterdam Noord’s Noorderpark. 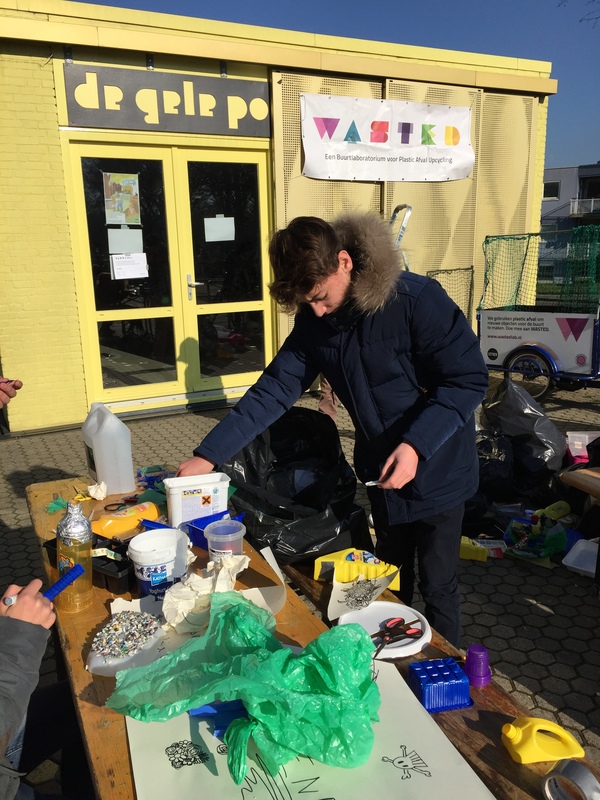 During the morning workshop, we helped make students aware of our collective plastic addiction; taught them how to recognize different types of plastic during a Plastic Archeology lesson; and showed them how to reprocess locally recycled plastic waste. The morning started with an introduction by WASTED’s Plastic Educator, Elisha Weeber. 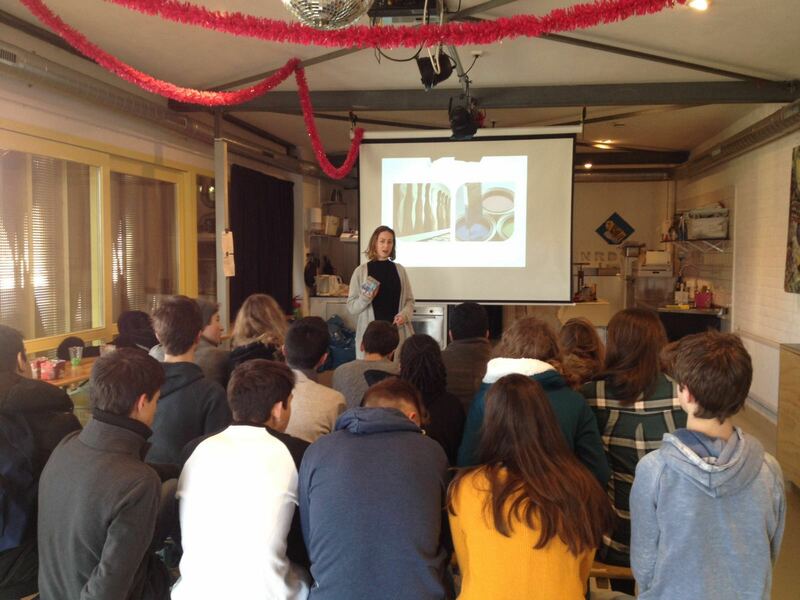 She shared background information about the local neighborhood of Amsterdam Noord and explained how CITIES’ WASTED project launched there, activating community to separate their plastic waste. Following the introduction, students were divided into three groups to each start their workshops in rotation. 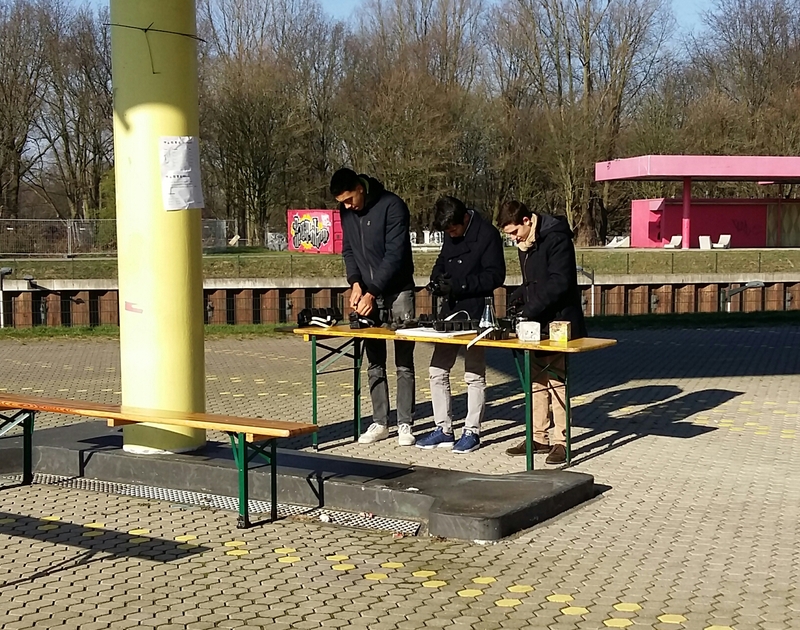 In the first workshop, together with the students, we made an inventory of all the plastic that we use on a daily base. 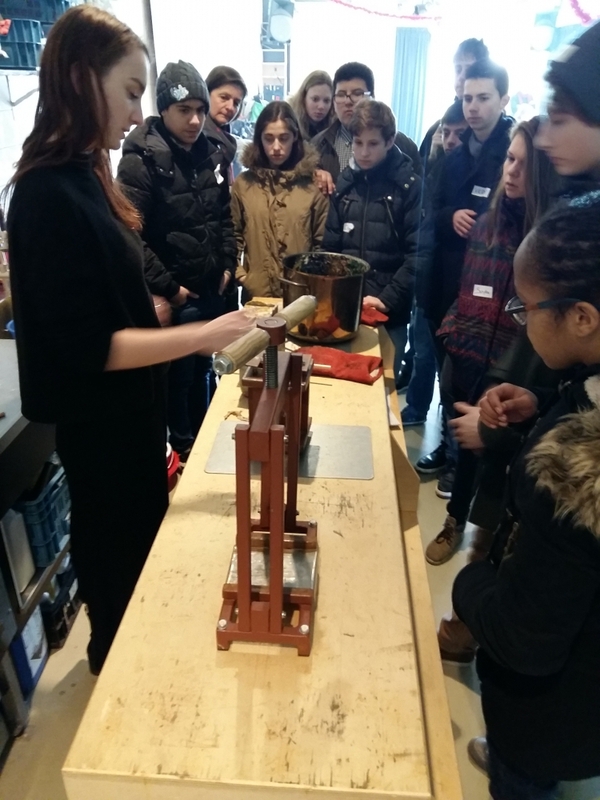 We told them how plastic was invented to make us independent from other (natural) resources like wood, stone and metals, and highlighted the positive characteristics plastic has compared to these materials – such as its abundance, high workability and low cost. Then we told how these positive characteristics can also be negative at the same time, for instance when plastic ends up all over cities and in nature. Through this storyline, it becomes clear that plastic recycling is necessary. To make plastic recycling possible, it first needs to be separated by type. Through a number of experiments, the students found out the differences between plastic objects that are made out of different types of plastic. Finally, the importance of the recognition of different types of plastics is explained and the possibilities of recycling for each type. During this lesson, the students become real plastic experts, understanding why some plastics are better than others, and the potential of each plastic type. During the second workshop, students made their own creative stop-motion movies focused on re/upcycling plastic waste. 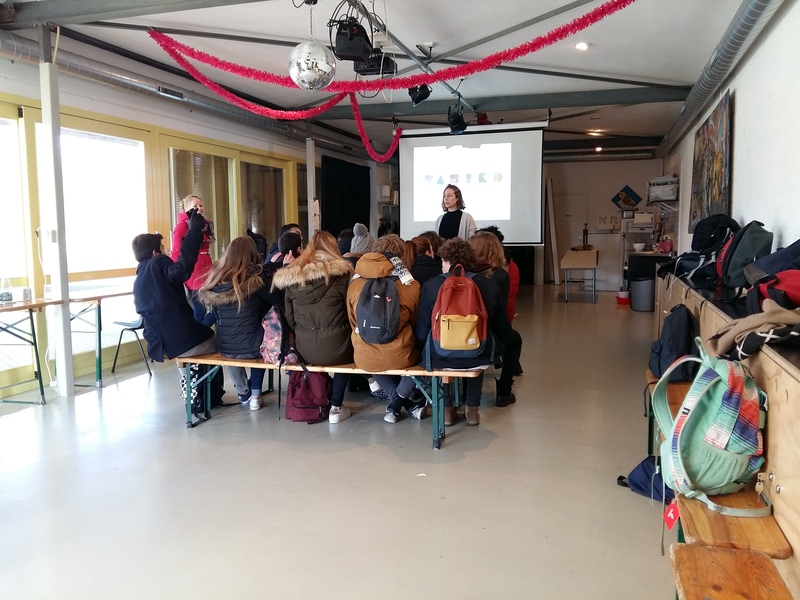 This workshop was given by art teacher Carlijn, who first explained her working method and vision on art in combination with societal problems. 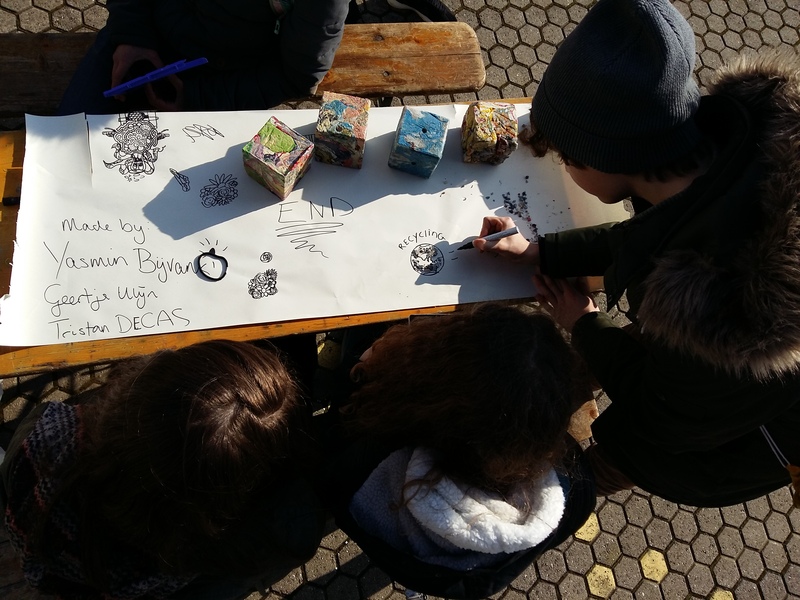 The mission for the students was to make a stop-motion video containing a massage about our plastic consumption, targeting the consequences of and solutions for plastic pollution. By using plastic waste, they learned to create something new out of the plastic and not only see it as trash, but also as a new material. In the movies, you can see how the students managed to communicate stories of plastic problems in a positive way. The third workshop revolved around reprocessing plastic garbage into new products. 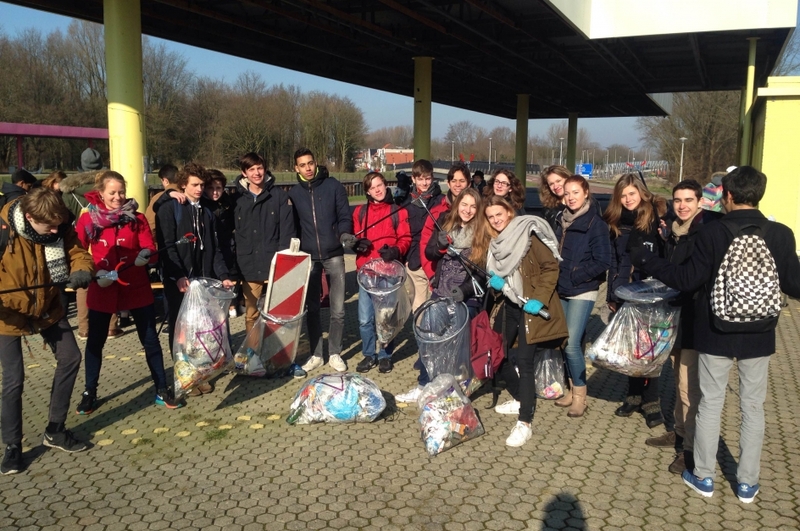 At first, the students collected waste from the park surrounding the Gele Pomp (Noorderpark). One aim of this workshop was to give the students an idea of the amount of litter lying around in our parks, roadsides and bushes. 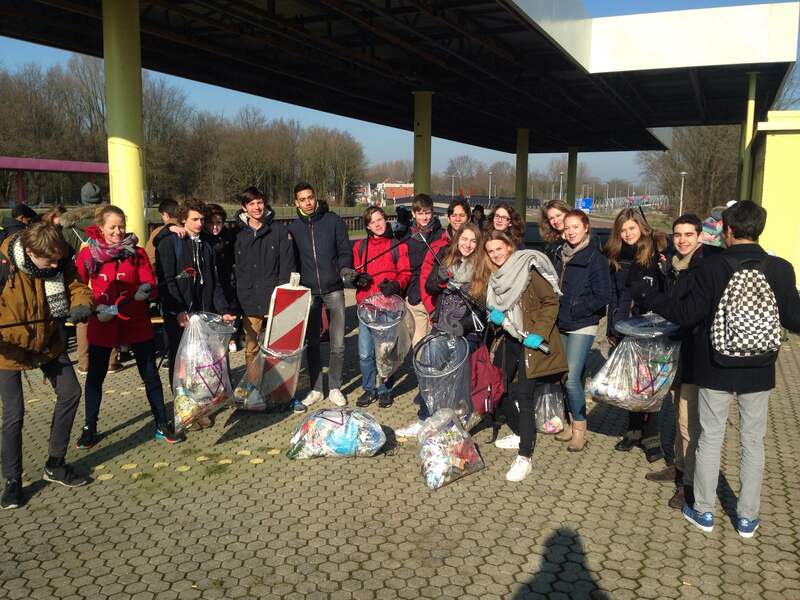 The students were really surprised at the quantity of litter. Some even thought we spread out extra litter just for this clean up. The students were obviously surprised by the amount and hopefully think twice next time they’re about to throw away their waste. After the cleanup it was time to recycle the collected plastic into a WASTED block. Before starting this process we explained the development of the WASTED block and showed how it has been designed. At the end of the workshop, students made a WASTED block themselves. This low-tech process shows how easy it is to upcycle your plastic waste. We hope the students were inspired and feel motivated to make better choices around plastic consumption and waste in the future. 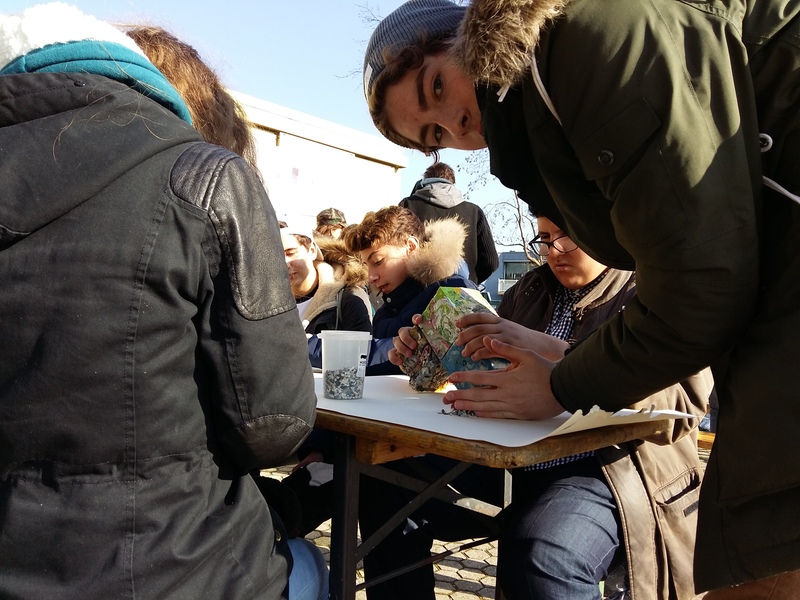 After the day’s workshops, students had not only become plastic experts, but also part of co-creating something by actively participating in recycling local plastic waste into new objects for the community, while cleaning up the environment.